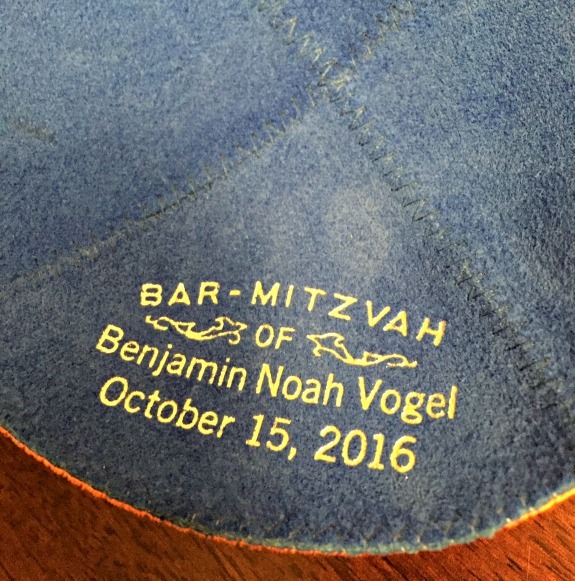 I have been waiting for October 15, 2016, the date of my son’s Bar Mitzvah, for several years and here we are! This is the imprint inside of the custom yarmulkes for the Bar Mitzvah service. A yarmulke is sometimes also called a kippah. It is the little skull cap that covers the head, usually worn by the men. I am popping in today with this week’s half marathon training recap rather than tomorrow because I definitely won’t have time after my run this morning to finish up this post. Of course I am running this morning. You had to know that, right? I mean, you are my running friends, you understand that we runners are routine and need our Saturday long run to be on schedule if we can make it work on schedule. I don’t have to be at my hair and makeup appointments until later today so squeezing in my long run this morning is not a problem. Heck, I took a spin class the morning of my wedding so running long today just makes sense and feels right. 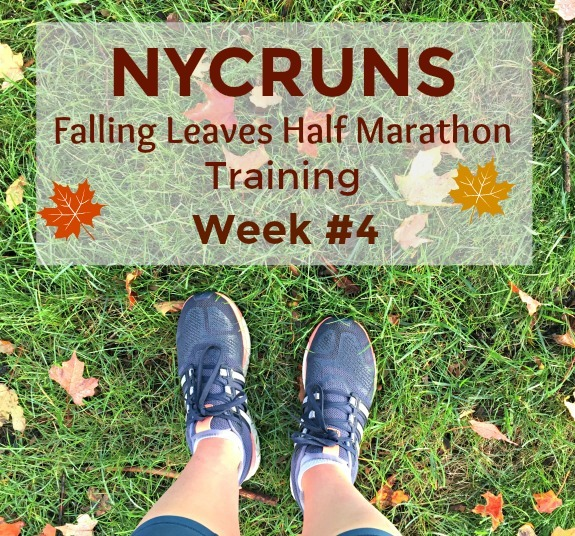 To be honest, the Bar Mitzvah planning has consumed so much of my life that I have barely realized that the NYCRUNS Falling Leaves Half Marathon is only four weeks away. I am half way through the training plan and I don’t really think that I have felt like I am training because my mind is in a totally different place. Hopefully after this wonderful weekend, I can get back to normal life and find that feeling of wow, I am working hard and training for a half marathon! First real Fall feeling run of the season. It was 48 degrees, crisp, bright but super windy. I ran the first 6 miles inside on the treadmill and then once it was light enough outside, I went out for the last 2 miles. The first 4 miles were run at an easy effort so I followed my easy run on the treadmill workout to keep my pace in line with the training plan requirements. I love this easy run workout I created for the treadmill so very much. The next two miles were to be at a moderate effort so I bumped my speed up to between 7.0 – 8.0, probably hovering most between 7.5 – 8.0. The two miles outside came out to a 7:59 pace. It was a great run! My training plan called for an easy 8 miles which is a distance I can usually run in my sleep. However, with the lack of sleep this week, I was completely exhausted and unable to run. Of course I tried to run though. I headed over to the treadmill and set the speed to my warm up usual of 6.3. Immediately that 6.3 felt like 7.5 which was a huge sign that running should not happen today! I gave it maybe two minutes before calling it quits on the run. I always say that each of us has to know when we can push and when we can’t. I can’t describe the exact feeling for you, it’s something you need to learn for yourself about your own body. This was a no push day. These no push days do not happen often at all which is how I can clearly determine when calling it quits is necessary. I was physically tired and I am sure emotionally drained too from the stress and excitement of the Bar Mitzvah. There’s always another day to run, it’s just not worth pushing yourself when you truly know inside that it’s not the day for you to run. My loose plan for this morning was an easy 6 miles but I felt so great and the air was amazingly crisp that I continued to 7 miles even though I could have run forever < – proof that skipping Thursday’s run was the right thing to do. I skipped Pure Barre today though as I didn’t want to overdo things for myself right now. My goal for this morning is 10 miles. I want to run long but not too long that I drain myself or leave my legs and feet unable to spend the night dancing in high heels. The good news is that I did wear high heels last night for the Shabbat Service and my feet aren’t feeling it! So when will I be posting again? I don’t really know. Of course I will be eager to share pictures and details with you guys but I am not pressuring myself to formulate a post. It may take me some time to digest the weekend. I sure hope my friends get some pictures tonight though so I have something to share as we wait for the photos to come back from the photographer! How often does it happen that you start your run but realize you need to call it quits? Are you running today? How long? Have a great time and congrats to your son! 10 miler sounds like a good distance to run before the big event. I think I ran 9 miles the morning of my wedding. My sister got engaged yesterday so we are going to my parents’ to celebrate later!! 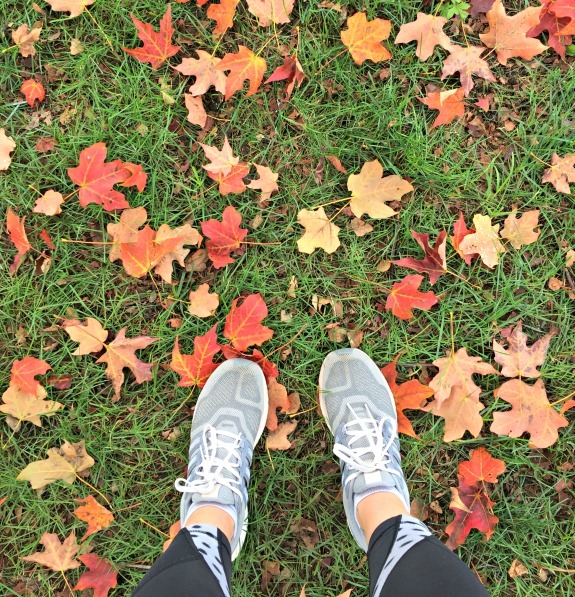 Lisa @ Running Out Of Wine recently posted…Fall Should Mean Marathon Training? oh wow, that’s wonderful news! congrats! Oh don’t you worry- the paparazzi will be in full swing- my phone won’t leave my side except for the horah! Congrats to your son – and have a great time! This weekend I am hiding from the wind storm and staying inside. Have so much fun tonight! Congrats to your son! Arthi recently posted…Marathon Recovery & What’s Next? I hope your son’s Bar Mitzvah goes smoothly. Kudos to you for getting your run in. I hope the Bar Mitzvah went fantastic. I can’t wait to hear all about it…when time allows of course. No pressure. thank you, it was a great time but for sure I am still recovering! Congratulate you for achieving the set objectives!!! Wish you would place great success in your race!! !